Moving Your On-Premise Exchange Server to Cloud? Microsoft Exchange Online is a hosted email, calendar, contacts and tasks solution that delivers the capabilities of Microsoft Exchange Server as a cloud-based service. Exchange Online is essentially based on Microsoft Exchange Server, hence it supports most if not all features of on-premise Exchange Server including full integration with Active Directory, group policy support, and familiar messaging experience across various forms of PCs, computers, Web, smartphones and mobile devices. No more worries about hardware maintenance, server life-cycles and reduce your IT staff resources as Shinjiru will manage all these issues for you! Just leave it to the experts. Microsoft Exchange Email System is the most reliable, safe and secure email platform in the market with 80% market share for business-class email and calendaring services. Our Managed Microsoft Exchange hosted in our own infrastructure in Malaysia lets your team focus on your core business activities and yet at the same time retain control just like it were managed in house. Shinjiru, as Microsoft's Cloud Solution Provider (CSP) partner, will help plan and migrate your services to Microsoft Exchange Online and continue to provide managed support 24/7. Buy from us and get our local immediate support to manage and solve all your email issues today! Our Microsoft Basic Exchange Email Solution not only offers most of the features of Microsoft Online Kiosk but with the unique data sovereignty protection, 24/7 certified support and customised email rules. Our Microsoft Standard Exchange Email Solution not only offers most of the features as Microsoft Exchange Online Plan 1 but with the unique data sovereignty protection, 24/7 certified support and customised email rules. The best uptime and service level agreement on the Malaysia market. Premium SLA backed by Shinjiru with 100X service credit. Our Hosted Exchange is different from Microsoft Office 365. Our solution is hosted in Malaysia ensuring data sovereignty..
Have a special request? Since the Exchange is managed by Shinjiru, we can accommodate your requirements. Your data is backed up all the time ensuring no data loss will occur when you sign up with Shinjiru. Outlook Web App (OWA): Manage your mail from any browser, anywhere, anytime. Backup & retrieval: Recover messages in Outlook for up to 48 hours. Public folders: Allow another person to send and accept email on your behalf - perfect for executive assistants. What is Shinjiru Microsoft Hosted Exchange? 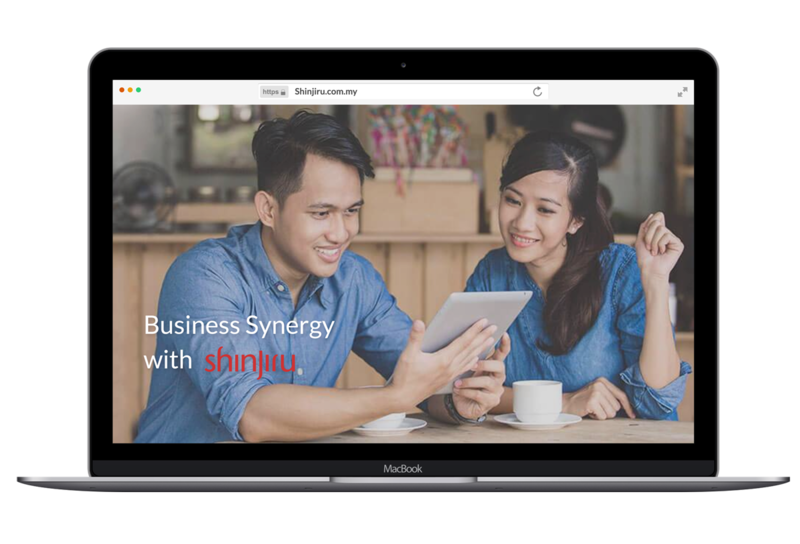 Shinjiru Microsoft Hosted Exchange is a fully managed Exchange email solution hosted by Shinjiru in our Kuala Lumpur data centre. What version of Microsoft Exchange are you using? Our Microsoft Exchange email solution is on Microsoft Exchange 2013. If I want a dedicated Microsoft Exchange email solution, can Shinjiru manage and build dedicated infrastructure for me? Yes. Our Exchange engineers are experts that can definitely manage and build custom Microsoft Exchange infrastructure dedicated to an organisation. Speak with one of our sales representatives for more information. I would like to migrate from my existing email platform to Shinjiru Microsoft Exchange, can you help? We have migrated countless mailboxes to Shinjiru Microsoft Exchange from a range of different email platforms. Simply said, we can assist on all types of migration. Is Shinjiru Microsoft Exchange PDPA compliant? Our Microsoft Hosted Exchange email solution is hosted in Malaysia. All your data are hosted locally which means we are PDPA compliance. No personal data is leaving Malaysia. Do you have a backup of all emails hosted in the Shinjiru Exchange? We have a backup server that will back up all data hosted with us 24 hours a day. We have an outdated MS Exchange On Premise System. What is your advice? Our advice is cut the server cost and keep the Exchange. Migrate your entire email to our Microsoft Hosted Exchange System. We will assist in migrating, configuring and managing all your emails. Reduce your on-premise servers management, licensing issues and headaches. Request a consultation with our friendly sales team or call us at +603 7987 1191. Why purchase all your IT requirements from different providers? Shinjiru can take care all of all your IT needs with our full range of services from domain name registration, email solutions, web hosting, dedicated servers, turnkey enterprise projects and Microsoft solutions. With all your IT requirements and the needed support under us, Shinjiru can be your single point of contact to ensure you receive the best IT business support in the industry. Fill up the form below to get in touch with our Web Hosting Specialist.